In 2016 ransomware became a multi-million dollar business (see figures 1 and 2). In the first study to achieve end-to-end analysis of the ransomware ‘ecosystem’, research by a collaboration between scientists at NYU, Princeton, UC San Diego, Google and Chainalysis traced ransomware payments through bitcoin for 34 different ransomware families for 2015. At a ‘preview’ presentation of the research results at BlackHat2017, speakers from Google reported the total ransom payments were $25,253,505. ransomware operators strongly preferred to cash out bitcoin ransom payments at BTC-e, a Bitcoin exchange based in Russia that was taken offline in July 2017 (see figure 4)2)Budd, C. Outsourcing crime: How Ransomware-as-a-Service works. TrendMicro (2016). 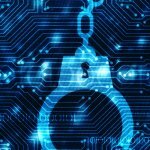 Available at: https://blog.trendmicro.com/outsourcing-crime-how- ransomware-as-a-service-works/.. Figure 1: Revenues from ransomware spiked in 2016 as developers found successful ‘business models’3)Bursztein, E., McRoberts, K. & Invernizzi, L. Tracking desktop ransomware payments. (2017).. Figure 2: Revenues (2015-2017) of the leading ‘names’ in Ransomware traced through Bitcoin payments4)Bursztein, E., McRoberts, K. & Invernizzi, L. Tracking desktop ransomware payments. (2017).. Figure 3: Ransom payments by location and sector, 2015-2017. Figure 4: Payouts in virtual currencies for the most prevalent ransomware. who may lack the programming skills to build their own5)Budd, C. Outsourcing crime: How Ransomware-as-a-Service works. TrendMicro (2016). Available at: https://blog.trendmicro.com/outsourcing-crime-how- ransomware-as-a-service-works/.. RaaS ‘kits’6)Brenner, B. 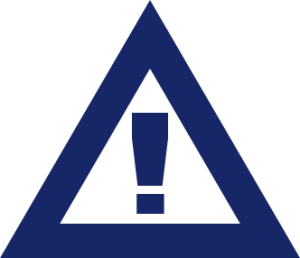 5 ransomware as a service (RaaS) kits – SophosLabs investigates. Sophos Labs (2017). have become popular since 2017. Examples include Philadelphia, FrozrLocker, RaasBerry, Cerber, Satan, Hostman, Flux and Atom, with monthly ‘subscriptions’ and licenses starting at $39 (see table 1). The ‘features’ are competitive and the costs lower the barrier to entry for would-be cyber criminals, including lone operators and novices who are not part of a larger organised criminal network. Stampado 39 Unlimited 80% Made by Rainmaker Labs, who later built Philadelphia. Payment options include Bitcoin, Paypal, bank transfer. RaasBerry C&C subscription ‘packages’ offered, from one month ($60) to three years ($650) None Ready-to-use ransomware that encrypts according to the parameters specified in sign-up. Provides ‘testnet’ mode so users can test in a virtual machine before distribution. Claims to avoid >90% of popular antivirus products. The practice of holding a person or company to ransom is not at all new: The ‘professionalization’ of highwaymen in Europe was a feature of business and personal risk in the 16th and 17th century. Through the 1970s and 1980s, white- collar extortion and hostage-taking were features of the business landscape in the US: The US authorities issued guidelines to corporations on how to handle such situations. organised groups of ideologically and/or politically motivated people who use IT to achieve their objective10)Choo, K.-K. R. Organised crime groups in cyberspace: a typology. Trends Organ. Crime 11, 270–295 (2008).. The rise of ransomware has popularised the term ‘organised crime’ in company reports and academic research, expanding the concept “to cover profit-driven criminal phenomena occurring completely or partially in cyber-space”11)Leukfeldt, E. R., Lavorgna, A. & Kleemans, E. R. Organised Cybercrime or Cybercrime that is Organised? An Assessment of the Conceptualisation of Financial Cybercrime as Organised Crime. Eur. J. Crim. Policy Res. 23, 287–300 (2017). . Analysis by BAE Systems (2012) identified a typology of organised criminal networks in cyberspace: swarms, hubs, extended hybrids, clustered hybrids, aggregates, and hierarchies; and concluded that nearly all (80%) of cybercrime is perpetrated by organised criminal networks, arguing that cyberspace augments rather than replaces existing criminal networks. BAE also concluded that the impact and scope of the crime does not correlate with group size; and that many networks are highly transitory. While the analogies and concepts are helpful in guiding investigators and companies to consider what they are up against, the policy narrative “often assumes a convergence between OC and cybercrime without strong empirical evidence.” This paucity of empirical analysis has important consequences for the overall quality of threat mitigation, because without understanding of the ecosystem we are trying to eradicate, we cannot ever hope to be completely successful. money mules. Enablers may work for one or more network and advertise their services in the Dark Net. Money mules may number hundreds and are easily replaceable. Detailed information for 68% of the cases showed that the core members comprised s stable group who worked with criminals from other networks from time to time. Groups without a stable core membership used online forums to seek out other suitable members prior to an attack. Almost all the analysed cases used legitimate money transfer services and / or virtual currencies. Of the 40 cases, 36 were examined for group size. 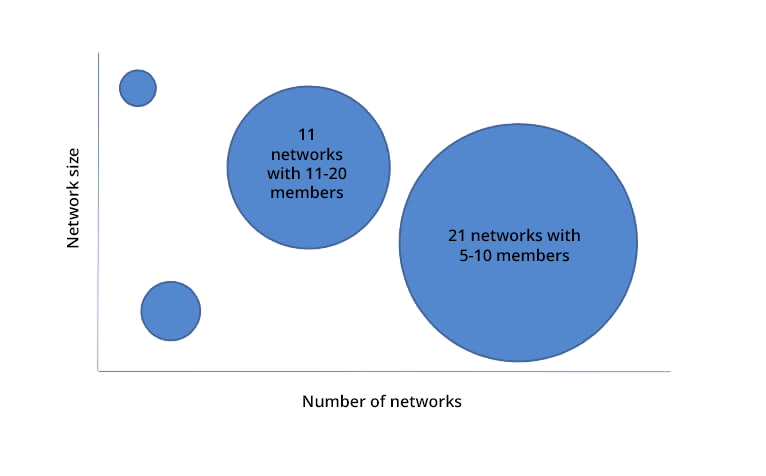 21 contained five to 10 core members, 11 had 11 to 20 members; cases with less than four, or more than 21 members, numbered very few (see figure 5). Formed and grown completely online. as ‘service providers’ to online groups, e.g. for money laundering and access to fake ID. As in most social networks, the trust relationships were found to be an essential requirement for group cohesion. The evidence from just these 40 cases suggests that the business of cybercrime is thriving where trust relationships between ‘real-world’ networks and their online counterparts are sufficiently intact for a sustained period during which a ransomware attack can be executed. The centuries-old tactics of highwaymen and organised gangs of thieves find ready translation in the internet age. However, as the Dutch-UK research team observe, the analysed cases do not fit the definition of organised crime that would meet the minimum sentence requirement in many jurisdictions. This suggests that a revision of criminal acts that don’t yet include the spread and operation of ransomware as a punishable act, is urgently required. 2, 5. ↑ Budd, C. Outsourcing crime: How Ransomware-as-a-Service works. TrendMicro (2016). Available at: https://blog.trendmicro.com/outsourcing-crime-how- ransomware-as-a-service-works/. 3, 4. ↑ Bursztein, E., McRoberts, K. & Invernizzi, L. Tracking desktop ransomware payments. (2017). 6, 7. ↑ Brenner, B. 5 ransomware as a service (RaaS) kits – SophosLabs investigates. Sophos Labs (2017). 8. ↑ Barkly. Ransomware-as-a-Service is Booming: Here’s What You Need to Know. Barkly Protects, Inc. (2017). Available at: https://blog.barkly.com/how- ransomware-as-a-service-works. 10. ↑ Choo, K.-K. R. Organised crime groups in cyberspace: a typology. Trends Organ. Crime 11, 270–295 (2008). 11, 12. ↑ Leukfeldt, E. R., Lavorgna, A. & Kleemans, E. R. Organised Cybercrime or Cybercrime that is Organised? An Assessment of the Conceptualisation of Financial Cybercrime as Organised Crime. Eur. J. Crim. Policy Res. 23, 287–300 (2017).